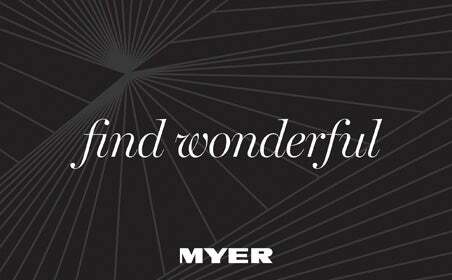 Prezzee makes gift giving eezzee with an un-loseable Myer Gift Card redeemable at any Myer store or online. Have you been struggling to find the right present for someone special? Are you trying to buy for somebody difficult? Maybe you’ve left your shopping too late or life has you playing catch-up and you don’t have the time to trawl through the shopping centres. There’s nothing worse than looking for the perfect gift and sweating over whether you’ve got just the right thing for the right occasion. A Myer Gift Card for one of Australia’s largest retail stores is the perfect solution to this age-old problem, ensuring that whoever you’re buying for can get themselves exactly what they’re looking for. 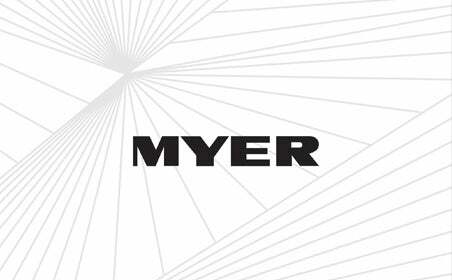 Myer’s range of products include quality homewares, furniture and the latest gadgets. Stocked with the newest trends in fashion, shoes, and accessories, Myer is one of Australia’s largest retail stores ensuring your giftee has the broadest range of items to choose their gift from. But just as Gift Cards are easy to slip into an envelope along with a birthday card, they’re also very easy to lose. Or, worse still, accidentally leave at home. Now, Prezzee has solved that problem too! Our innovative solution has changed the art of gifting with the digital Gift Card. 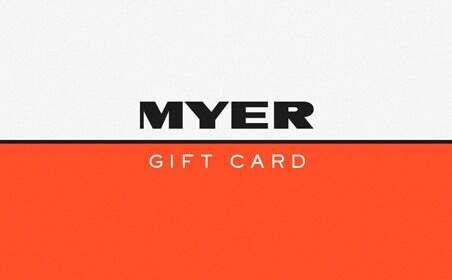 Choosing a Myer Gift Card from Prezzee is not just the gift of choice ensuring that whoever you are buying for gets exactly what they want. Prezzee also makes your gift giving even easier with a simple online purchase you can make any time and send directly to your recipient – or yourself! – so you never lose your eGift Card.